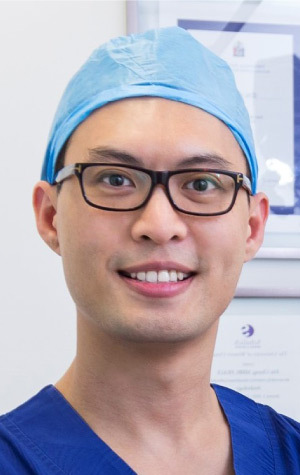 A/Professor Chung received his medical degree from University of Melbourne and is a certified fellow of the Royal Australasian College of Surgeons (RACS) and the Urological Society of Australia and New Zealand (USANZ) since 2010. He was a fellow at Princess Alexandra Hospital in 2009 before leaving to Canada/USA for an Andrology (Male Urinary, Sexual and Reproductive) fellowship in 2010. He became the first urologist in Australia to complete an Andrology fellowship that is accredited by the Sexual Medicine Society of North America (SMSNA). He has also received fellowship training in Urinary Reconstructive and Prosthesis Surgery. Apart from general urological practice, his subspecialty interests are urinary stones, urinary and sexual dysfunctions, male reproductive, microsurgical and urological prosthesis surgery. He has been invited as speaker at many international and national meetings; received several national and international awards and research grants; as well as published extensively in the field of sexual, urinary and prosthesis reconstructive surgery. He regularly mentors urologists on surgical techniques pertaining to various urinary reconstructive and prosthesis surgery. We strive to provide highest quality of care and restore optimum quality of life to every patient. My staff are experienced practice manager and medical secretary who have worked in a variety of medical situations and practices. They are standing by to take your appointment, answer your queries and are committed to making your experience comfortable and efficient. Pease ring (07) 3832 1168 or email us directly at androurology@gmail.com and we will get in touch with you soon.